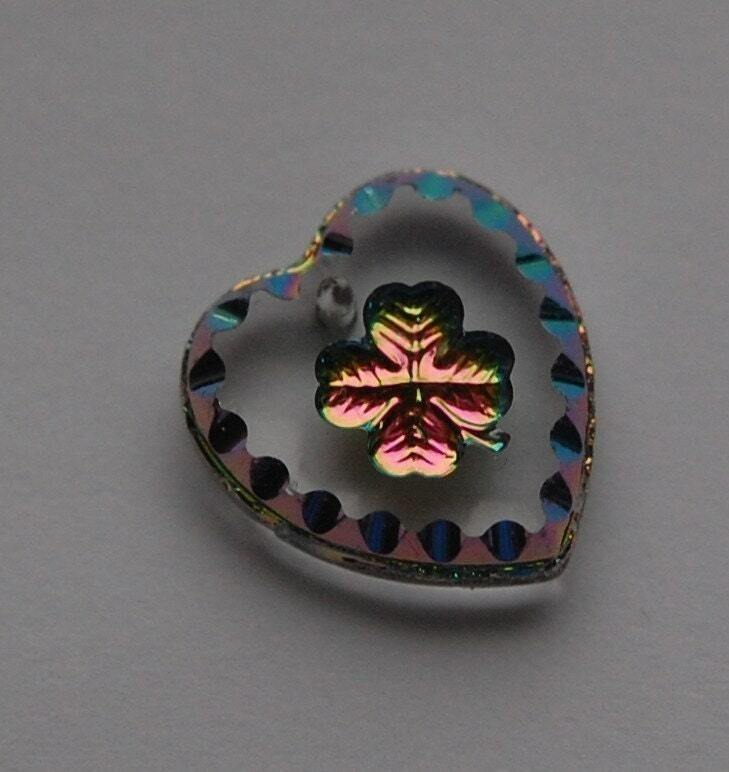 These are glass hearts that were made in Germany. They have an etched shamrock in the center that is red. The red changes color as you turn the piece. This measure 15mm x 14mm. You will receive one of these.